I love diving into a box or album of old family photos (even if they’re not of my family!). They give you a snapshot of that moment in time. So, with a love for all things photographic, especially old photos, I find it hard to pinpoint just one favourite photo. 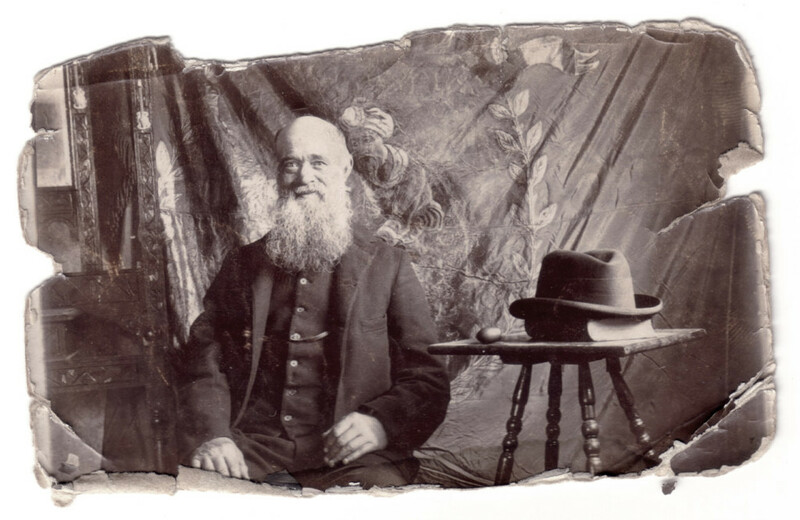 For a man who was born in 1848, died in 1936 and didn’t have much to his name, it’s perhaps surprising that I have quite a few photos of my great-grandfather, Alfred. I never knew him. My Dad never knew him… Dad never knew any of his grandparents, they all died before he was born, whereas I was lucky enough to know all of my grandparents (though one died when I was little) and one of my great-grandparents. A postcard advertising “Hadfield’s Special Turnip Manure” and featuring my great grandfather, Alfred. It’s difficult to choose just one favourite photo, but I find this postcard very interesting. It’s a postcard advertising “Hadfield’s Special Turnip Manure”. OK, it’s nothing exciting, but the postcard features my great grandfather (third from the left) at his place of work and tells me who he was working for (Mr Thos. 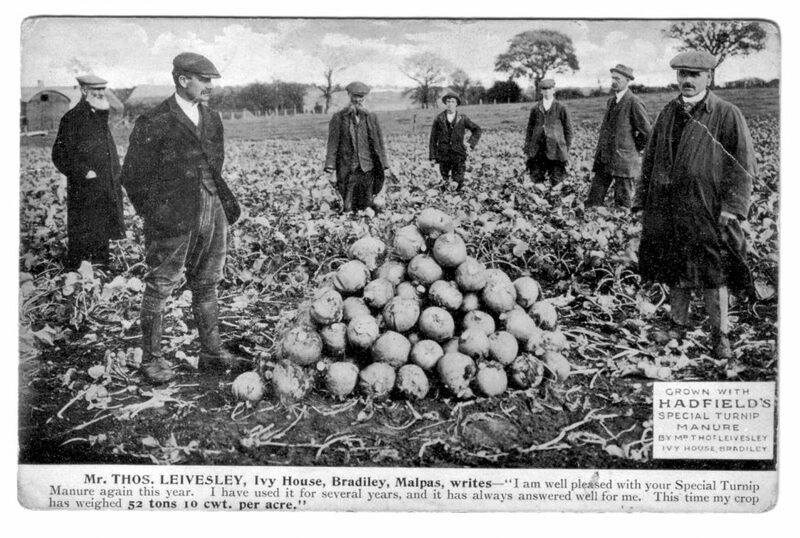 Leivesley, Ivy House, Bradiley, Malpas). I also love this photo of Alfred. He was an agricultural labourer (as were most of my male ancestors! 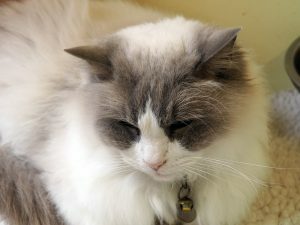 ), the son of a mole catcher, yet I think he scrubs up quite well in this photo. I will touch up the photo one day, but I quite like the way it looks – it gives it character! Finally, I think this family photo would be my favourite it wasn’t in such poor condition. The actual photo is in worse condition than this digital copy as I worked on it to bring out some of the detail (I also need to sort out some of the scratches). I would love it if I came across a cousin with a better copy of it. 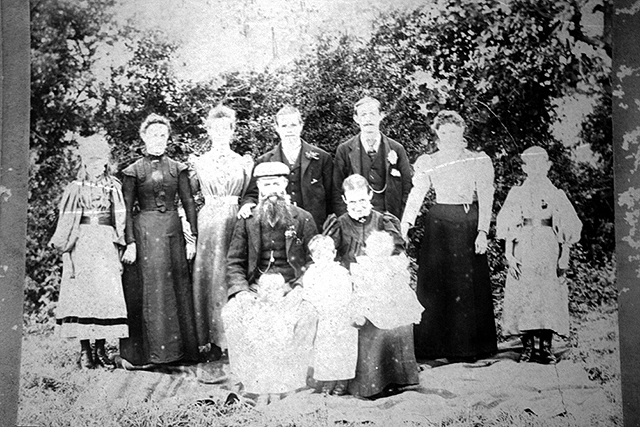 The photo shows Alfred and his second wife, Mary (my grandmother) and their children (mostly from his first marriage). Do you have a favourite family photo? This post was written as part of the 52 Ancestors in 52 Weeks challenge. Tagged family history, genealogy, history, photos. I love the photo of Alfred seated next to the hat on the stand. The backdrop makes it appear there’s a genie holding him up from behind! 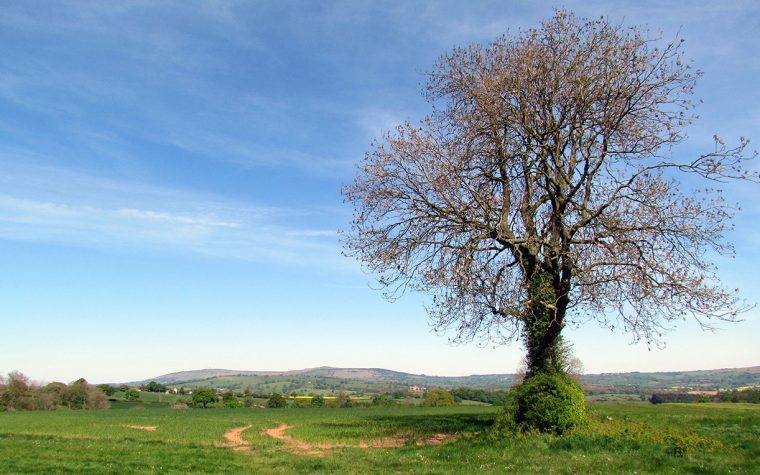 I’ve found that people are so generous and happy to share information, photos and documents when they discover that you’re researching the same tree. I’d have never known what these people looked like as I don’t have any other photos of them so I’m very grateful to have acquired these. 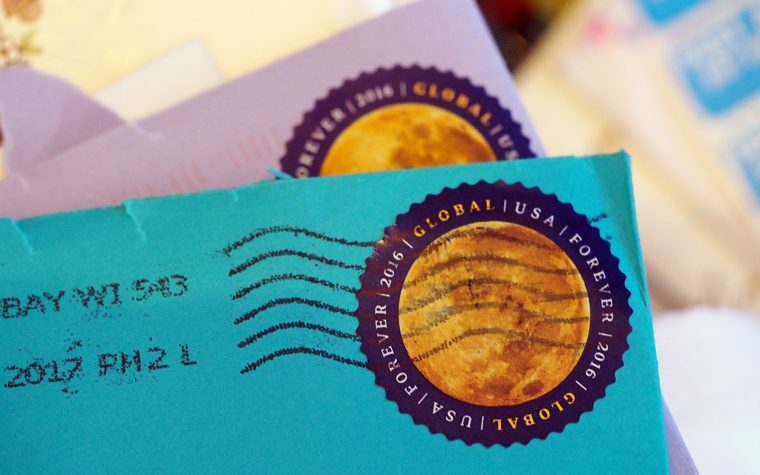 Such wonderful photos…the postcard is especially cool! And I agree with you re old photos that aren’t in perfect condition – somehow they have more character. Looking forward to more of your posts 🙂 Many of my ancestors were also ag labourers. Such an interesting idea for a post! I love that portrait photo – your great-grandfather Alfred looks like a very content man. My family have a wonderful photo of my great, great-grandmother in her best gown, who lived to a great age and was the mother to an impressive 13 grown children.